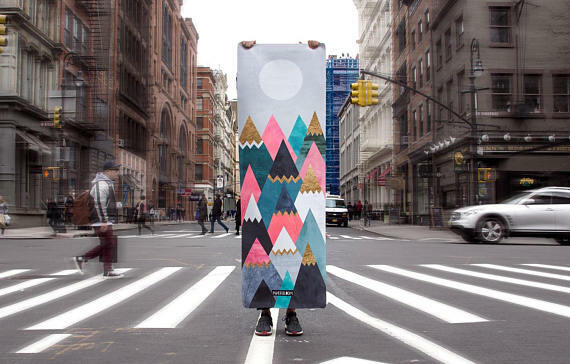 The holidays are around the corner and you find yourself wondering, “What should I get my friend who keeps inviting me to yoga class?” The answer is a cool yoga mat. 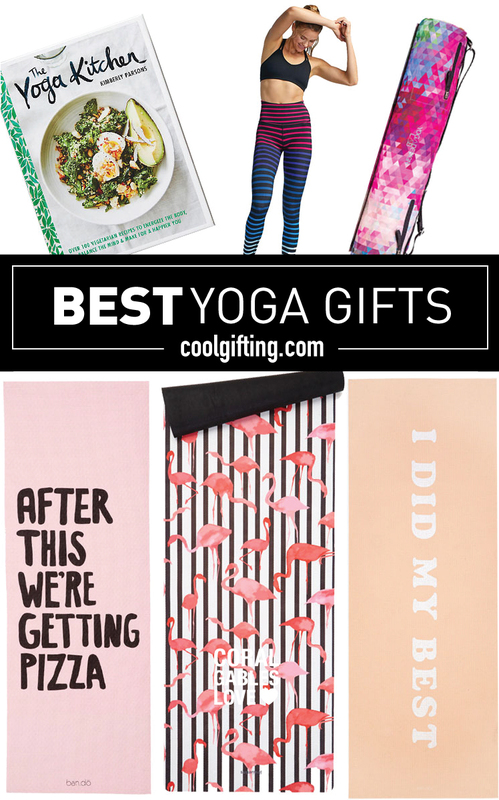 We’ve rounded up some fashionable yoga mats that will express your friend’s personality while she works on her flexibility and inner peace. Think of it this way: You may need those post-workout calories to sustain you through the next sweat session. 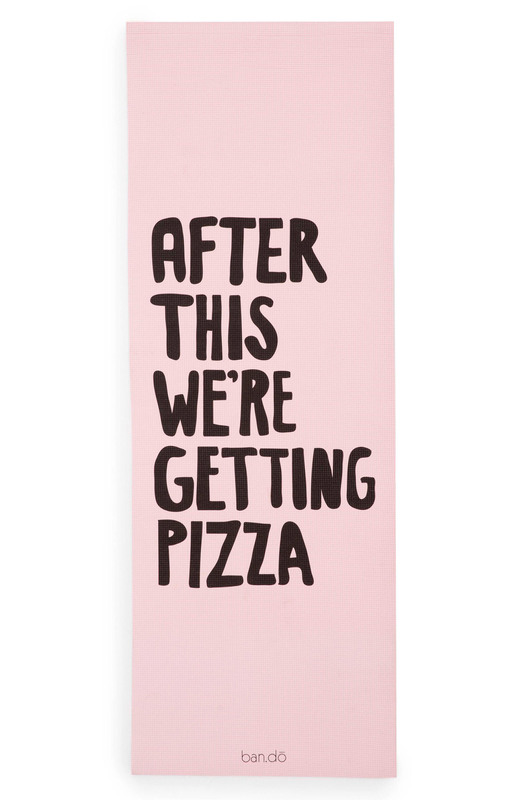 So while you think about loading up on cheesy carbs, keep motivated with this super comfy mat that understands your true motivation for exercise. No Ka’Oi’s mat is cut from quilted microfiber that’s fused with sponge to provide a soft, cushioned finish. This mint style is trimmed with gummed non-slip material that keeps it in place during your practice. It’s ideal for yoga but works for pilates and stretching, too. 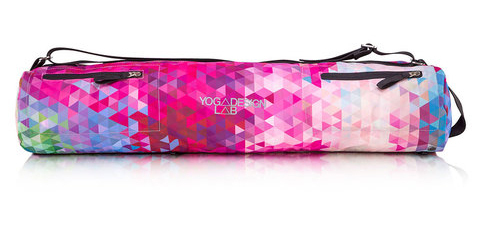 This versatile yoga bag is designed to perform anywhere you choose. Carry your mat & essentials to class or run away to a deserted island for the weekend, it’s got your back. Comfy straps, extra pockets, all combined with an luxurious exterior finish help this bag become an everyday must-have. 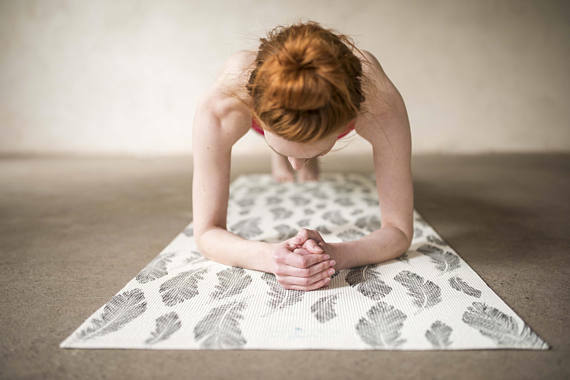 While you do your best at the gym, this exercise mat is great for attempting that fifth headstand or other difficult yoga poses. And after you’ve tried your hardest, its comfy enough to take a bit of a breather and a five-minute snooze. 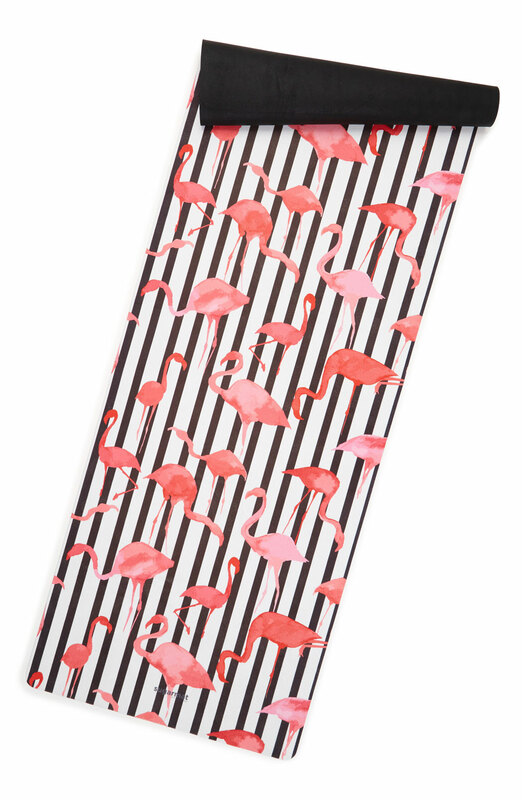 Drifting away, as light as a feather this reduced Black and White design yoga mat seems to make it so easy. And with a weight of just 1,1kg this mat itself is lightweight. Mixing art and graphic design, Elisabeth draws her inspiration from nature. Her works are always bright with a strong use of mixed colours. Absorbent and grippy microfiber top bonded to thick natural tree rubber base. It’s eco-friendly, biodegradable, and made of recyclable 100% natural tree rubber. 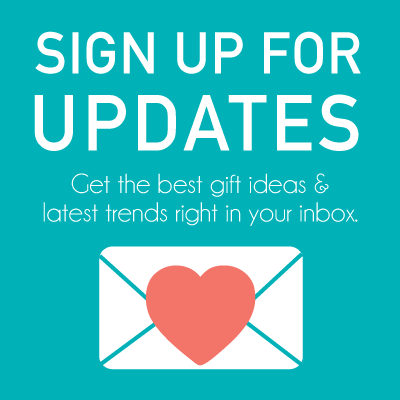 Ideal for yoga, Bikram, hot yoga, sweaty practice, pilates, and general exercise. A former yoga instructor’s fruitless search for functional, flattering and stylish workout wear led her to design her own. 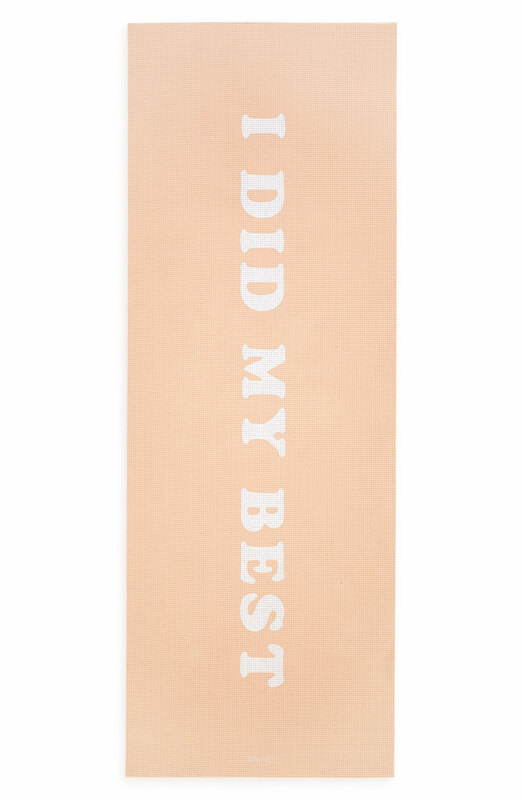 Sueded on one side to absorb sweat and maximize traction like a towel and bonded to biodegradable, no-slip rubber, this color-rich yoga mat is a luxurious two-in-one combo that’ll simplify your routine. Eating well is an act of mindfulness that pairs perfectly with the practice of yoga. 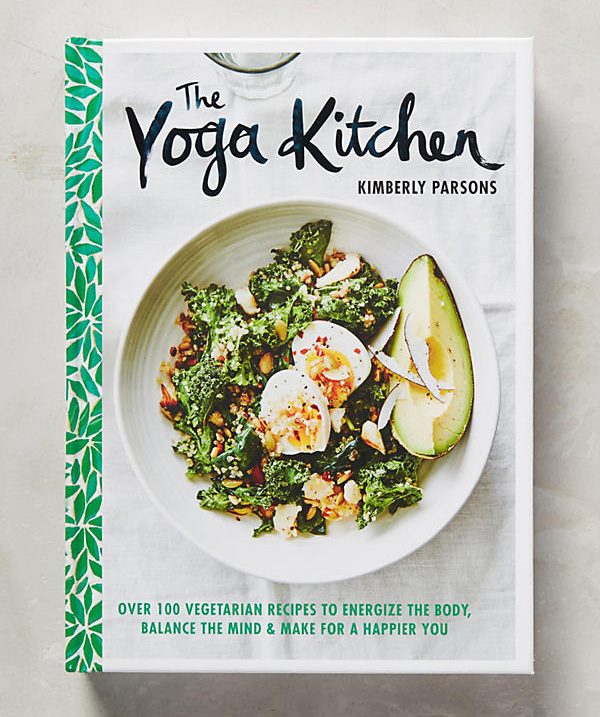 Each chapter of this cookbook is based on an individual chakra, providing nutrient-rich, vegetarian and gluten-free recipes to help balance your body and mind.